Asus had plenty of updates lined up for Computex and new phones weren’t the exception. 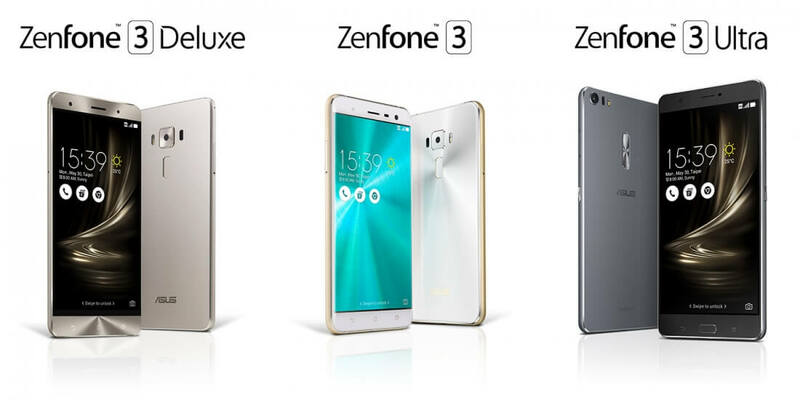 The company announced its third generation of ZenFones at the event and it will come in not one but three variants: ZenFone 3, ZenFone 3 Deluxe and ZenFone 3 Ultra. They all share a common design language but differ in both the hardware and materials used. Starting at $249 the ZenFone 3 is a mid-range device and is the first one to sport Qualcomm's new 14 nanometer Snapdragon 625 octa-core chip. The chip should be up to 35% more power efficient than its predecessor, according to Asus, and it will be paired with 3GB of RAM and 32GB of internal storage -- upgradeable to to 4GB and 64GB. You also get a mid-range Adreno 506 GPU as part of the package as well as a 5.5-inch fullHD display, 3,000mAh battery, Cat 6 LTE, dual-SIM support, microSD support, 802.11ac MU-MIMO WiFi, Bluetooth 4.2, a fingerprint sensor on the back and USB Type-C support. The camera on the back is a 16-megapixel unit with support for four-axis image stabilization -- a rare feature in mid-range phones. On the front you get an 8-megapixel shooter for selfies. The ZenFone 3 comes with a metal frame body and 2.5D Gorilla Glass on both sides. Overall it’s a significant improvement over the plastic back toting ZenFone 2 series. The $499 Asus ZenFone 3 Deluxe moves to a 5.7-inch 1080p Super AMOLED display that supports an always-on screen feature to display handy information. It also gets a beefier Snapdragon 820 SoC under the hood with support for Quick Charge 3.0, 6GB of RAM and 64GB of internal storage (upgradeable up to 256GB), Cat 13 LTE, and a sharper camera on the back based on Sony's 23-megapixel IMX318 sensor with 4K video recording support. Design-wise the ZenFone 3 Deluxe looks similar to the base model, except it uses a subtly curved metal unibody instead of a glass back, and has managed to remove the unsightly antenna lines that every other all-metal smartphone has. Rounding out the announcements is the ZenFone 3 Ultra, which as you might have guessed, is the largest model of the pack featuring a massive 6.8-inch display. The phablet is aimed at media consumption with a PixelWorks iris2+ TV grade processor, two speakers at the bottom and DTS Headphone:X 7.1 surround sound, but strangely, Asus is sticking to a 1080p panel. The ZenFone 3 Ultra uses an octa-core Snapdragon 652 chip with Cat 6 LTE, 802.11ac WiFi and Quick Charge 3.0. The base model is priced at $479 with 4GB RAM and 64GB storage. The camera is the same arrangement as in the ZenFone 3 Deluxe and the fingerprint sensor has been moved to the front with the addition of a home button. The Ultra can also double as a portable power bank to charge other devices. Asus didn’t announce release dates for any of the phones but India Today claims its sources have it pinned down for the first week of August in India. We’ll keep an eye out for international availability.